Thailand is a fairly developed economy with an upper-middle-income status. Situated in the heart of Southeast Asia, the country serves as a gateway to one of the world’s most dynamic markets. Despite a decade of political instability and economic shocks, the economy grew at a rate of 3.7 percent in 2017 and is expected to touch 4 percent in 2018, led by strong exports and a vibrant domestic consumer market. However, in comparison to some of its neighbors, the country’s growth rate is among the lowest in Southeast Asia. Though a moderately-growing economy, Thailand offers abundant resources and a skilled and cost-effective workforce for foreign investors. Thailand has a well-defined investment policy framework that encourages liberalization and promotes free trade. 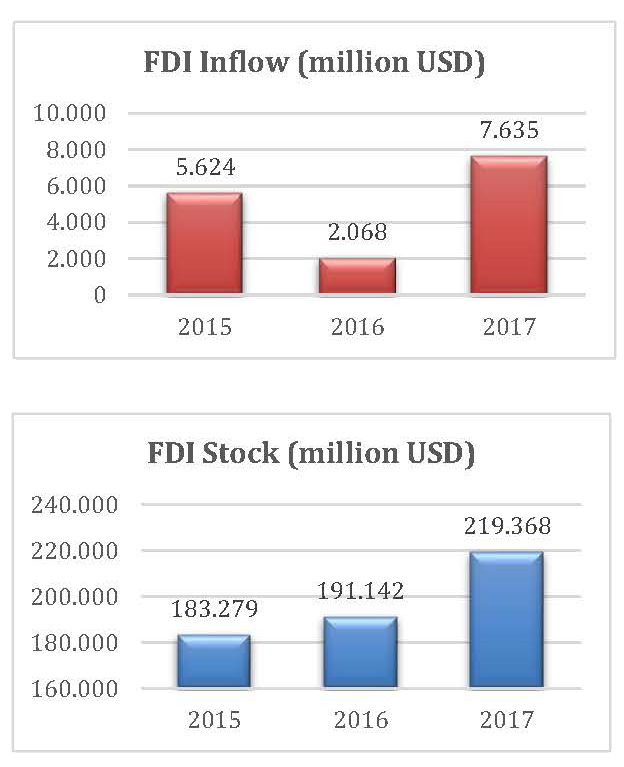 The government, through its several agencies such as the Board of Investment (BOI) and the Industrial Estate Authority of Thailand (IEAT) and its many bilateral agreements, offers numerous tax and non-tax incentives to support investors. Investors can significantly gain from agreements such as the ASEAN Comprehensive Investment Agreement (ACIA), the ASEAN Framework Agreement on Services (AFAS), and the Treaty of Amity and Economic Relations between Thailand and the US (Treaty of Amity). The law restricts foreign-majority participation in certain businesses; however, this restriction does not apply to most manufacturing ventures. International surveys such as the World Bank’s Ease of Doing Business report have recently ranked Thailand among the most attractive investment destinations in Southeast Asia. 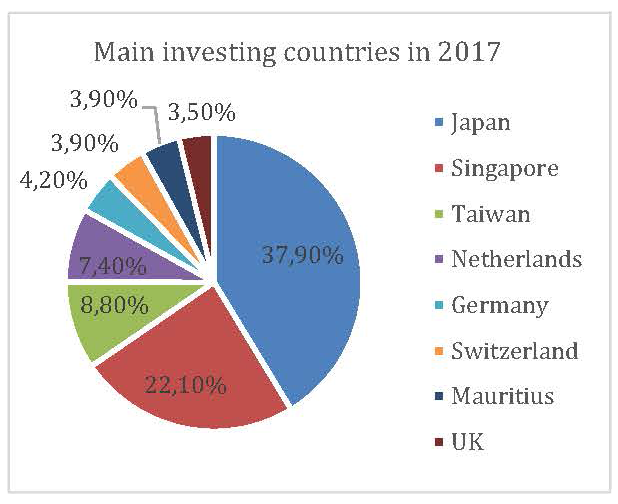 The 2018 report moved Thailand up to rank 26 in 2017, bringing the country among the top three investment destinations in ASEAN. Thailand’s economy is heavily export-dependent, with exports accounting for more than two-thirds of its total gross domestic product (GDP). Some of its major exports include computer hardware, motor vehicles and auto parts, jewellery and electrical circuits. Crude oil, machinery and parts, and alloy steel and steel products are the top import products. 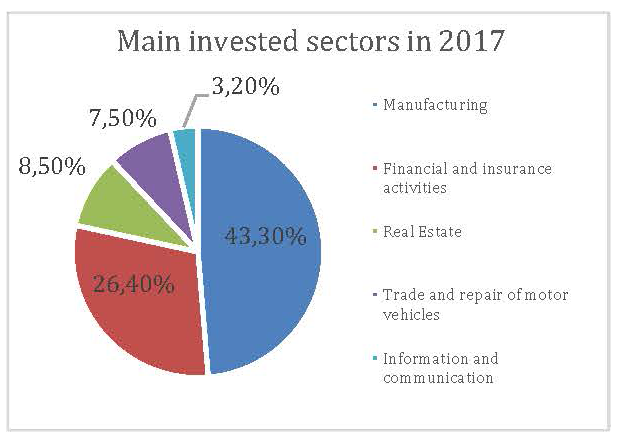 Sector-wise, the industry and service sectors account for about 90 percent of GDP. Thailand has a diversified industrial base and is known for manufacturing electronics, steel and automotive around the world. The country is an assembly hub for international car brands. The service sector, including tourism and financial services, employs nearly 38 percent of the active population. The country is among the top 10 travel destinations in the world. The agricultural sector, comprising mostly of small-scale farms, contributes less than 10 percent of GDP but employs about one-third of the labor force. The country is one of the leading producers and exporters of rice and also has rubber, sugar, corn, jute, cotton, and tobacco as major crops. Fishing is also an important economic activity with farmed shrimp being a major export item. In 2017, the Thai government amended the Investment Promotion Act B.E.2520 (1997) by Investment Promotion Act B.E 2560 (2017). The new legislation broadens the scope of incentives – both tax and non-tax, offered to foreign investors. For instance, the exemption of import duties which was previously limited to materials used for manufacture for re-exportation has now been revised to include materials imported for use domestically in research and development activities and related testing. The government also announced the new National Competitiveness Enhancement Act for Targeted Industries, B.E. 2560 – as a part of Thailand’s long-term investment promotion strategy, Thailand 4.0 and the country’s national agenda on investment-led transformation. The new law aims to enhance the competitiveness of industries in line with Thailand’s capabilities. As a result, foreign investment will be encouraged in certain industries that are new to the country or use new technology or advanced production that will bring in development and promote of innovation.The new Act also offers an exemption from corporate income tax for up to 15 years and subsidy to a promoted project. Besides, the government announced investments in several mega infrastructure projects including railway and airport upgrades, high-speed rail, roadways and the Eastern Economic Corridor (EEC) as part of its efforts to make Thailand one of the most preferred investment destinations in Asia. A US$45 billion project, the EEC refers to special economic zones covering more than 48 million square meters in the three eastern provinces of Chonburi, Rayong and Chachoengsao. Further, the government has emphasized attracting investment in six sectors that have been determined to be key to the country’s developmental objectives. These six target industries include agriculture and agro-industry, alternative energy, automotive, electronics, and information communication technology (ICT), fashion, and value-added services including entertainment, healthcare, and tourism. Political uncertainty looms in Thailand, as the country undergoes elections next year. It has been under military rule since 2014. Yet, in terms of long-term growth, the Thai economy appears to be greatly resilient. In terms of investment, the newly approved bill on the development of the EEC is expected to generate a new wave of FDI in the country. The new Act will speed up development of infrastructure projects in the corridor and ease regulations for investment in the area, including permitting foreign ownership of land for specific investments, which is otherwise banned in Thailand. Aside from the positive investment outlook, Thailand also boasts of strong economic fundamentals – steady inflation and interest rates, low unemployment, and reasonable public and external debt level. In 2017, the economy grew at the fastest pace in more than four years at 3.9 – 4.0 percent. With the recovery in exports, continued robust growth in tourism, and higher public and private investments, there should be a significant upside for the Thai economy, this year. The government plans to continue spending on building infrastructure to drive economic growth, particularly in the creation of a new industrial zone known as the Eastern Economic Corridor (EEC). Helping ensure the success of its infrastructure development, the government will provide full support, including eliminationg barriers, rules and regulations in order to generate real, high-value investments as well as a one-stop service to facilitate investment in the EEC. 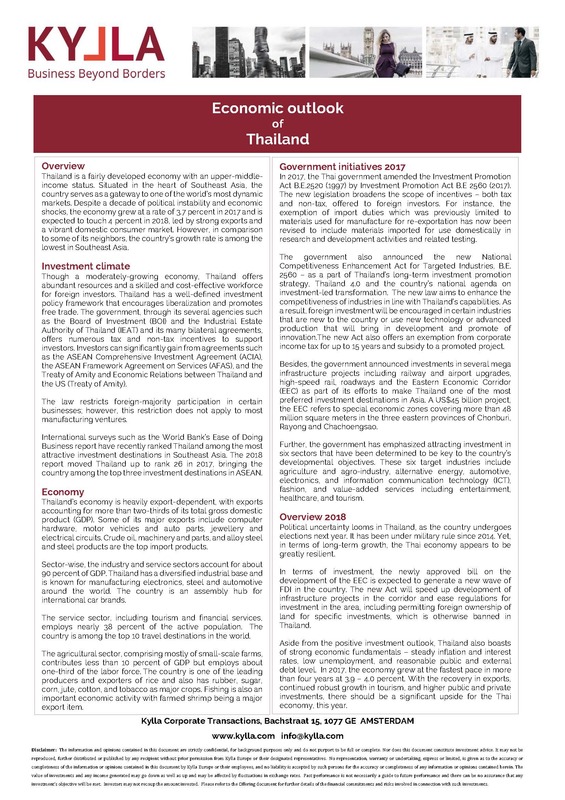 The Board of Investment if Thailand (BOI) in turn offers enticing and competitive privileges, including a corporate tax holiday for up to 15 years, exemption from import duties on machinery and raw materials, 17% personal income tax for executives, experts and researchers working in designated zones, grants to support investments in R&D, innovation and human resource development , permission to own land for promoted activities, and one-step service to facilitate business operations. The most bright spot in the sector of renewable power plant businesses which had traditionally been promoted by the government to reduce the heavy reliance on fossil fuel, especially for gas, and to reduce the environmental impact. While the whole value chain from generation to transmission and distribution is and will remain largely a state-controlled industry, ongoing liberalization will open the door to new business opportunities for foreign companies, technologies, and concepts. At the beginning of 2018, Thailand looked back to seven tumultuous years of mostly favorable solar energy developments and a few failures. While 2010 saw the first significant installations of solar panels, the year 2017 marked the achievement of a significant milestone, a total of 3 GW of solar installations in the Land of Smile. This amounts to 50% of the 2036 target under the current 20-year roadmap (AEDP 2015). Thailand’s >3 GW share exceeds 60% of total installed capacity in the ASEAN region, followed by the Philippines, Malaysia, and Singapore. Thailand’s renewable energy quota (solar, wind, biomass) will be increased to 30% by 2030. Solar power from households will be the main source of power under the AEDP (Alternative Energy Development Plan). However, due to the decrease in production costs, grid parity should be achieved soon. One of the focusses of Thailand 4.0 is the agriculture sector to promote and strengthen its abundant resources both for local and international use. Agriculture 4.0 aims to increase yield per rai by reducing inefficiencies, water consumption, fertilizersinsecticides, and other chemicals and harmful effects on soil, animals, and people. Thailand is the kitchen of the world. The government is seeking more ways to improve and give way to foreign investors to make Thailand 4.0 and Agriculture 4.0 more feasible. Multi-stakeholder partnership projects and investment programs that will bring together the non-government organizations, companies, the government, universities, and farmers shall be the way for technological transformation that will also provide access to shared information, technology, finances, and markets. This kind of project will play an important role in transforming Thailand’s agricultural progress.